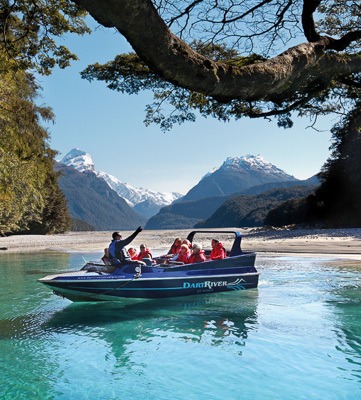 The New Zealand Discovery self-drive trip is a wonderful two-week blend of some of the best scenic and cultural features of New Zealand’s North and South Islands. 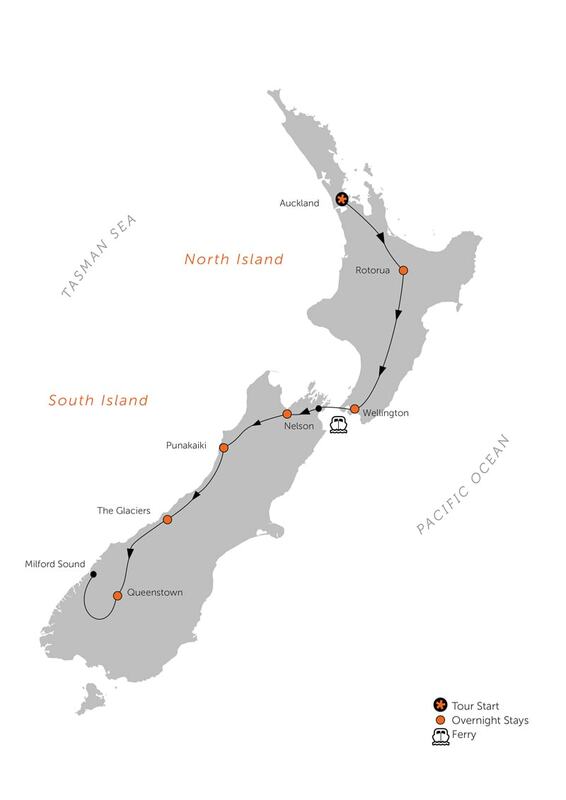 From the volcanic landscape of the north to the glacially carved topography of the south, you’ll love taking routes less travelled and discovering the incredible diversity of the two islands as you’re welcomed with true Kiwi hospitality. Welcome to New Zealand! You will be transferred to your central city accommodation, where a Black Sheep team member will meet you for an orientation about your upcoming tour and about driving in New Zealand. The remainder of the day is free to recover from your journey and to explore the city. A former 1930’s mansion set on the edge of Lake Rotorua. Stunning views, a private beach, fine dining, massage facilities and more make for a peaceful retreat just 5 min from the heart of the city. 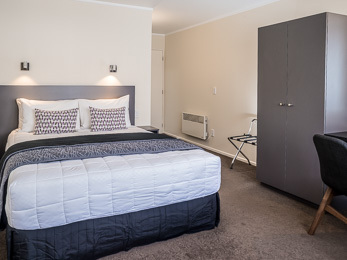 A comfortable, modern hotel in central Rotorua, adjacent to the lakefront and a short stroll to popular Eat Street. Features include complimentary geothermal pool access. 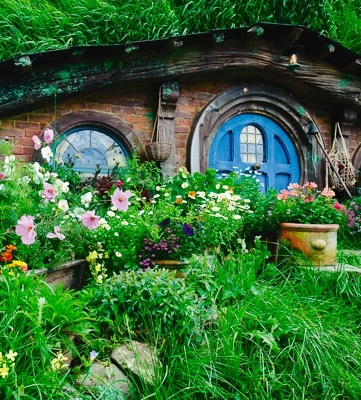 Head south through rich farmland to Rotorua, with an optional stop at Hobbiton on route. Rotorua is a cultural centre for Maoridom and an active volcanic region. 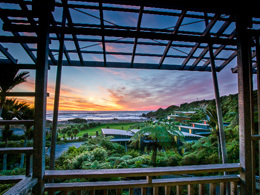 An introduction to Maori culture, geothermal spas and adventure activities, including some of the country’s best mountain bike trails, are on offer here. 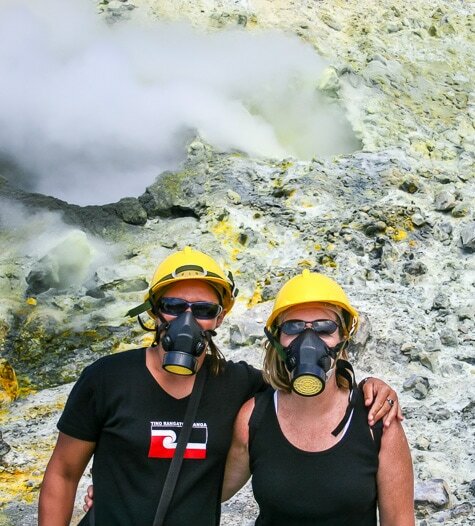 Explore some of the region’s most extraordinary geothermal features with a variety of optional add-ons: visit the active White Island volcano, take a float-plane over the impressive Mt Tarawera crater rift, or visit a colourful and diverse thermal reserve featuring boiling mud pools and geysers. 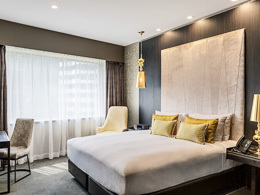 A plushly appointed hotel located in the heart of the Parliament district, with views to the Botanic Gardens. 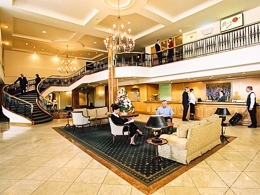 Tourist attractions, shops and dining on the waterfront are all a short stroll away. 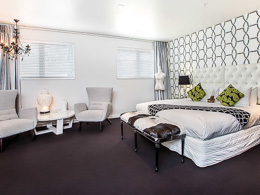 A welcoming, comfortable hotel primely set in the heart of Wellington. The location can’t be beat, with unique shops, cafes, galleries, museums and the vibrant waterfront all at your doorstep. Depart Rotorua and travel south via the spectacular Huka Falls and New Zealand's largest lake, Lake Taupo. 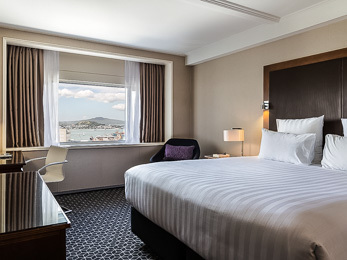 Your route takes you on the Desert Road, past the volcanoes of Tongariro National Park, to Wellington, New Zealand's picturesque capital city. Spend the evening enjoying the cultural features of this dynamic city. Board your ferry and cross to the South Island, gliding past the spectacular coastline of the Marlborough Sounds. 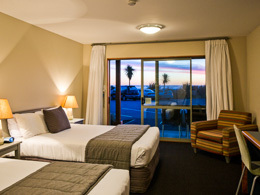 Collect your rental car in Picton and travel to the renowned Marlborough wine region. After tastings and perhaps a winery lunch (don't forget to choose your designated driver! ), continue to sun-drenched Nelson. The Abel Tasman National Park is arguably one of the most beautiful parks in the country. 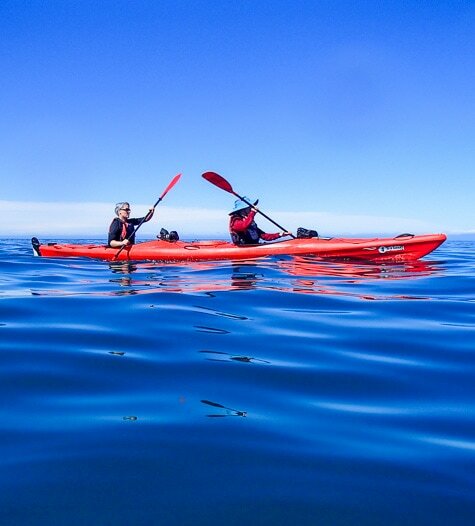 We recommend you take a hike and sea kayaking trip along the coast, ducking in and out of secluded bays and strolling along its beaches. Your Black Sheep Travel Shepherd can provide details and pre-book for you (recommended). Head for the wild and woolly West Coast, making beautiful scenic detours along the way. It's eyes on the road and hands on the wheel as the route to Punakaiki hugs the coast, providing spectacular viewpoints of the Tasman Sea and lush, fern-clad coastline. After settling into your accommodation, explore the area's features, including the intriguing Pancake Rocks. Beneath this part of the South Island is a labyrinth of intricate cave systems which can be explored in a choice of ways, from scenic caving to adventure caving to New Zealand's renowned and unforgettable cave rafting. 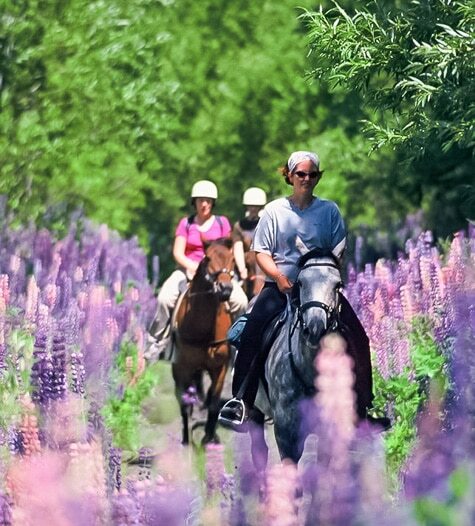 Above-ground alternatives are also available, including walking, paddling and horse trekking on the beach. Your trip notes recommend the best ways to make the most of this spectacular region. Walk along the glacial riverbed to view the impressive terminal face of Fox Glacier and explore additional trails through ancient rainforest. 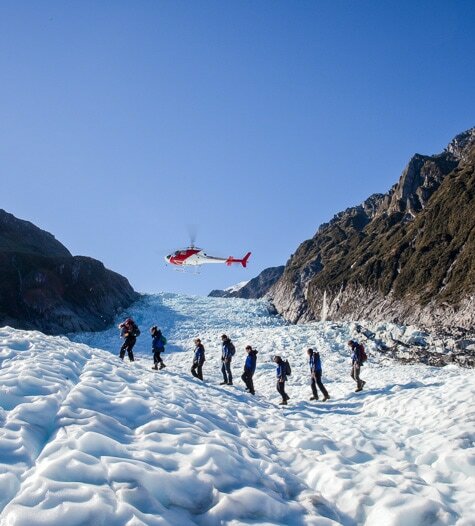 Optional activities allow you access to the glacier, including glacier hikes and a helicopter flight that lands you on the neve. 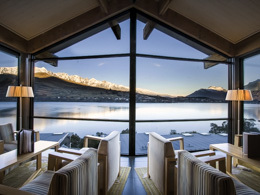 Take a lakeside walk before your drive to Queenstown. 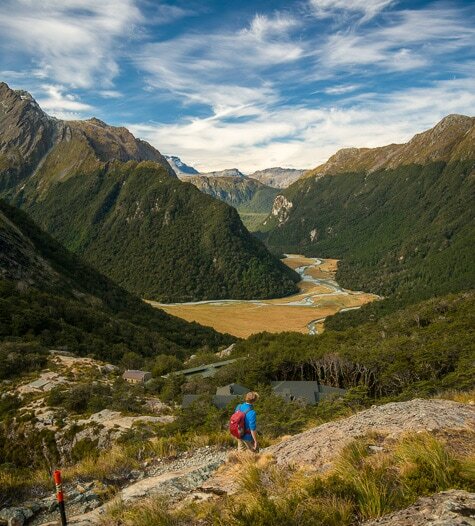 Your trip notes identify hidden walks and scenic stops within the Mt Aspiring National Park as you head to the Otago region, New Zealand's Outback. 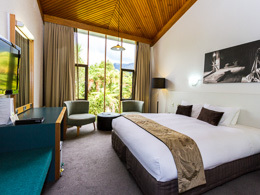 Queenstown, resting on beautiful Lake Wakatipu and flanked by the aptly named The Remarkables range is a stunning setting for your remaining three nights. 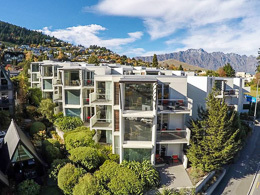 Queenstown is New Zealand's adrenalin center. There is a wide range of optional activities available, including jetboating, horse trekking, whitewater rafting, sky diving, four-wheel-drive adventures, and bungy jumping, or more leisurely pursuits such as walking, fishing and wine trails. 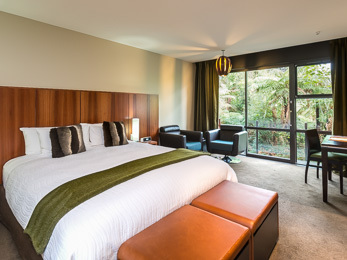 Talk to our Travel Shepherds about your Queenstown dreams. Today, we have included a coach trip and nature cruise on Milford Sound. As your coach carries you through the Fiordland National Park, you’ll be thankful someone else is doing the driving so you can fully take in the spectacular views. 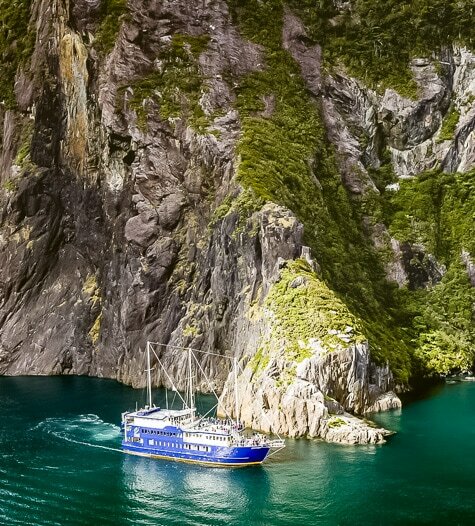 In Milford Sound, board your vessel and cruise between the towering walls of the fiord to the Tasman Sea, past thundering waterfalls and fur seals lounging on the rocks. Your return coach arrives in Queenstown this evening. Depending on your flight schedule, you'll have time to relax and make final purchases before dropping your rental car at Queenstown Airport and travelling home or to your next destination. 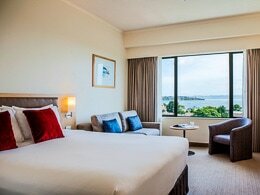 We're confident you'll leave New Zealand with an experience that you’ll reflect on for years to come. WOW, WHAT AN AMAZING TRIP! KNOW YOU HAVE TWO BLACK SHEEP TOURING CO RAVING FANS IN OMAHA!